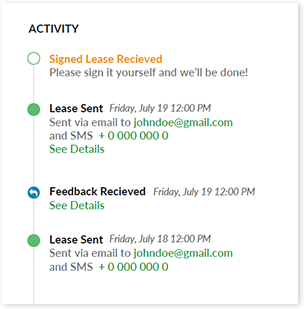 Combining fully customizable lease applications with ClickPay’s leading payment platform, ClickPay Leasing accelerates closings and tracks tenant payments from application through lease renewal. How much time ClickPay can save you? Prospects easily apply on the go with a simple mobile-first experience. Mobile applications translate to quicker conversion and improve tenant occupancy rates while providing prospects with a great first impression. Intuitive design walks prospects through the application. Start now. Finish later. Applicants sign electronically and pay fees. 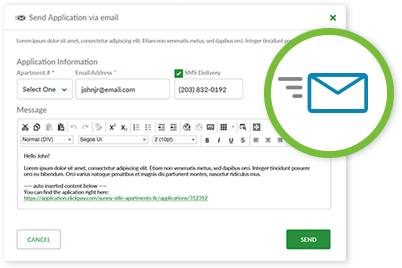 Prospects receive SMS/texts and emails to alert them to complete applications and status updates. One registration allows prospects to pay leasing fees and all tenant expenses from move in through move out. View and manage leases holistically and individually as applicants move through the stages from prospect through paying tenant. Every step of ClickPay Leasing is replete with customizable and efficient tools to streamline workflow. Why bounce between online and offline portions of the Leasing process? Impress your prospective tenants with a fully electronic application while creating efficiencies. Email and SMS/Text the unique URL to prospective tenants with a canned or custom message. 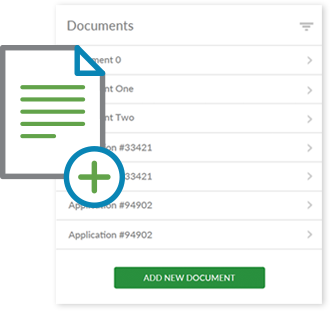 Generate custom applications and gain transparency into the process workflow through e-signature. 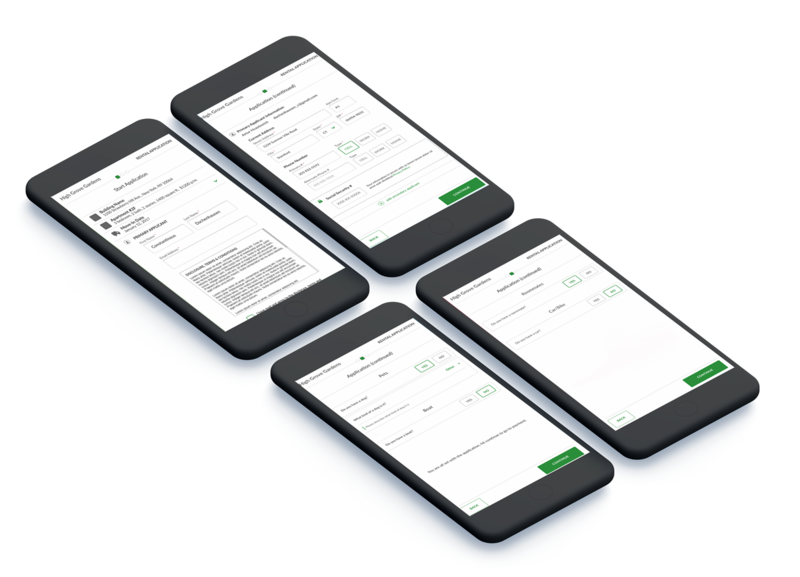 Integrated into both the workflow and your system of record, ClickPay’s payment platform collects application, screening and move-in fees with ease! 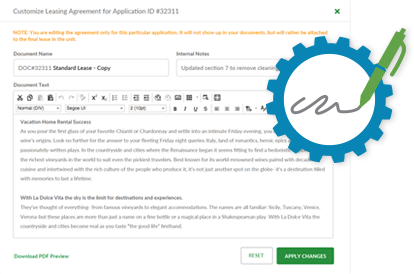 Did a prospect negotiate a term or want to sign a mutiple year lease last minute? No problem – just edit inline online!